The event included a presentation by Abi Bond (Managing Director of Homelessness Services & Affordable Housing Programs for the City of Vancouver) and Luke Harrison (Vice President, Business Development, of Modular Solutions, and previously Chief Executive Officer of the Vancouver Affordable Housing Agency). Abi and Luke spoke to their experience in developing temporary affordable modular housing in Vancouver. In 2017, the Government of British Columbia announced a funding commitment of $66 million towards building 600 units of temporary modular housing in Vancouver. This type of housing can be designed to meet a range of accessibility and environmental requirements, including barrier-free and Passive House standards. Factory built and assembled on site in as little as 4 months, temporary modular housing started as quick accommodation for industry workers in remote areas, but has since been adapted for affordable and supportive housing in Vancouver. This form of housing is considered temporary because no excavation of the site is required, allowing the building to be disassembled and moved to any other location, giving flexibility to the site. Modular housing also optimizes the efficiency of design, turning the construction process into a manufacturing assembly line, and allowing more units to be built and thus more people to be housed more quickly than ever before. 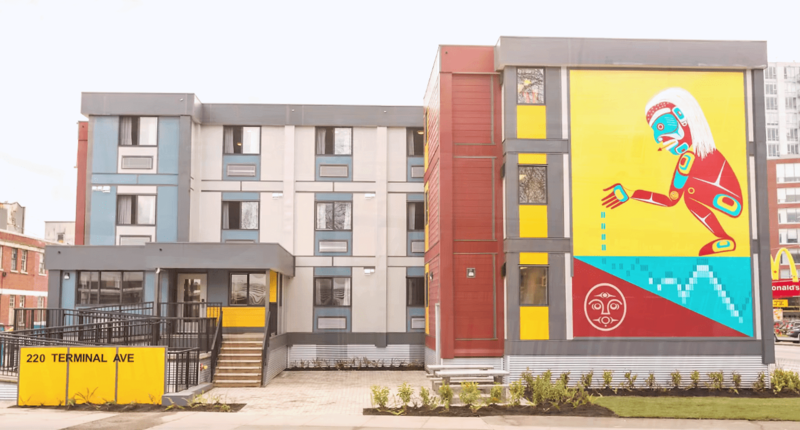 As of 2018, 10 temporary modular housing buildings have been successfully built and occupied in the Vancouver area, with more to come. 2 weeks ago, the City of Ottawa issued a Request for Expressions of Interest to develop a site in Wateridge Village on the former CFB Rockcliffe Airbase, with more sites to be announced. Potentially, this temporary modular housing model could be successfully replicated in Ottawa in the future! The first temporary modular housing project in the City of Vancouver (40 units).